Costa Rica is a perfect family vacation destination, as there's always something fun to do with the kids, teens, adults and even grandparents. Guided walks through the rain forest and cloud forest are an incredible way to learn about these complex ecosystems. Walking through the rain forest is no video game -- it's life out loud, 360 degrees, all senses engaged. Places like Manuel Antonio are a paradise, perfect for all ages, as you spot mischiveous monkeys & cute sloths in the trees, go whitewater rafting or sea kayaking down warm, pristine rivers, glide through the rain forest canopy on a zip line, explore the forest from your ecolodge or beachfront hotel, or just relax on the beach with the family. 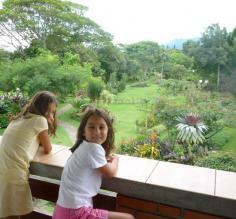 Contact one of our Costa Rica travel specialists to plan the perfect family vacation or choose one of our top 10. Manuel Antonio National Park - mixes sun, beaches, rainforest, ecolodges and adventure in one spectacular park like nowhere else on earth. After a day of exploring the rain forest and spotting an amazing biodiversity of creatures like butterflies, birds, plants, insects, sloths, and four species of monkeys! Then, relax on the beach for a while. Don't relax too much, or a monkey or coatimundi may try to steal your snacks! What's a coatimundi? You'll just have to come and see them, the photos don't do justice, they're so cute! 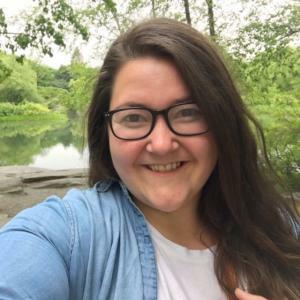 Monteverde Cloud Forest - is high in the mountains, dense and green and home to a few of the same species you'll find in a lowland rain forest such as howler monkeys and sloths. But, many more species are unique, thriving in this cooler, more humid forest in the clouds. Your guide will mimick the call of Central America's most legendary bird, revered even by the Maya. Woooeeee, woooooeee! And with some luck, a brilliant green and red Quetzal will come to see who's making all of the Quetzal sounds! Arenal Volcano - is a chance to get just close enough to an active volcano. On an active day, you'll likely see explosions of smoke coming out of the top and at night, red glowing lava flowing down its slopes! There are volcanic hotsprings with pools and literally an entire river of hot water! 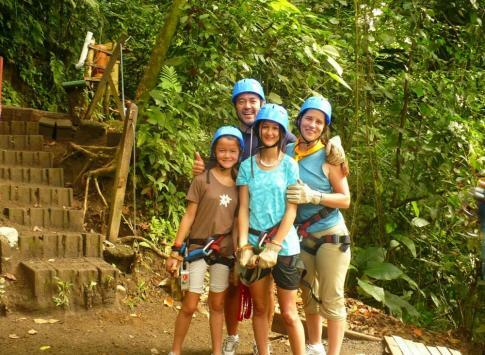 Contact one of our Costa Rica family travel specialists to start planning your trip to Costa Rica today. 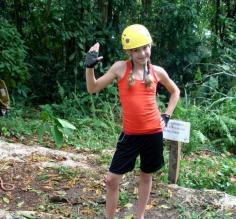 My 12-year-old daughter, Gabs, and I had an absolute blast in Costa Rica. 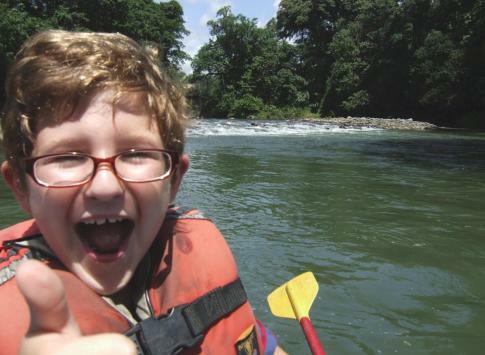 Beginning in the remote rainforest, continuing to the sunny and sandy Caribbean coast and ending with an awesome adrenaline rush on a Pacuare river rafting adventure. It was a perfect mix for us! I'd do it all again in a heartbeat. 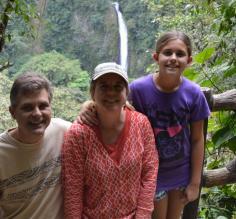 What a memorable Costa Rica trip for the whole family -- my husband and I, with our two children, age 6 and 9. We can't wait to go on another adventure. 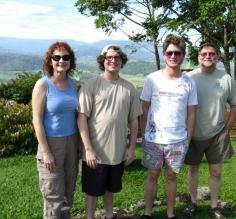 Contact one of our Costa Rica family travel specialists to start planning your family trip to Costa Rica today.